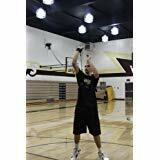 The Basketball Strength Training Guarantee 3 is made to strengthen your shooting arm while improving your shot percentage. 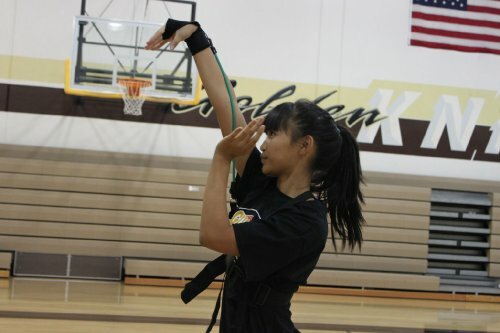 With 5 stretch bands, one glove, body harness, travel bag, and precise guidelines, this training gear will quickly and efficiently improve your shot before your eyes. The gear included is built with quality materials, ensuring it will hold up over the everyday wear and tear or training. Guaranteed to improve your dribbling skills as well, the Basketball Strength Training Guarantee 3 is perfect for developing muscle memory and confidence. This product can be used with either hand, anywhere, anytime. The instructional guide provided outlines a 6 week regimen on how to utilize and maximize your practices. Made for males or females, this strength trainer will make your practices effective and efficient. Order the Basketball Strength Training Guarantee 3 today and improve your basketball skills in as little as 6 weeks! 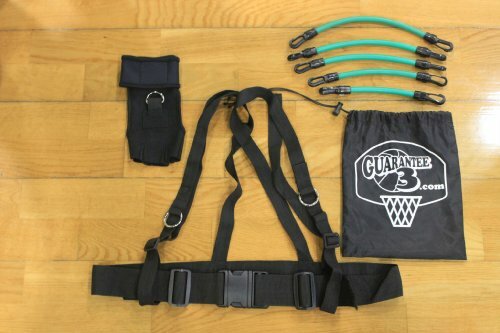 Guarantee3 is a lightweight athletic basketball trainer worn around the waist and shoulders during your basketball practice on or off the court. It includes five stretch bands, one workout glove, body harness, convenient travel bag, a six week workout and instructions on how to use. Guarantee3 is made for boys and girls, men and woman, from beginner to the most experienced basketball players. 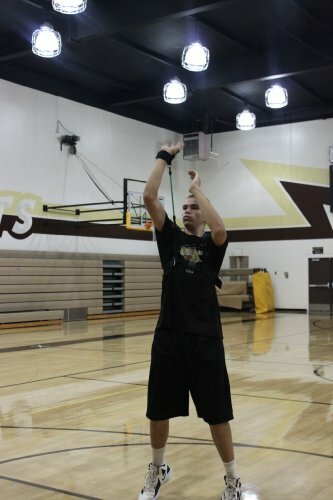 For more information about Guarantee3, visit www.guarantee3.com for instructional video, shooting video, dribbling video, testimonial video and real results video. Guarantee3 guarantees after completing your 6 week workout you will have strengthen your shooting arm, rapidly have improved your left and right handed dribbling kills and develop muscle memory for practice and game time confidence. Order Guarantee3 today and get your game on the way! View YouTube Video "Guarantee 3 - Promotional Video"
View YouTube Video "Guarantee 3 - Results"